Album, Monte Verdi – available on Bandcamp. Our 1st release Lexicon Of Paragon Pines is now five years old. To mark the occasion we have overhauled the artwork and included a series of visual pieces that act as “Inserts”. If you don’t have it, now’s the time etc……. Tales Of H.P. Lovecraft is now up on Bandcamp……..
A few years ago we released a three track CD (just 20 copies!) called Alpha/Beta/Gamma for RSD. Get it now through Bandcamp. Abertoir Festival 2016 full line up announced. We will be playing Tales Of H.P. Lovecraft here 18/11. We will be performing Tales of H.P. Lovecraft at the Mayhem Film Festival on the 13th Oct. Tickets on sale now. Our new single called Scuro Estivo is available now direct from Static Caravan Records. It’s a super limited (50 copies) lathe cut vinyl 7″. A digital version will be available soon. Preparations underway for upcoming live shows. US Repress is OUT NOW (SOLD OUT in USA). A limited amount available in the UK from Norman Records. Tales Of H.P. Lovecraft is now completely SOLD OUT. There will be a repress, on coloured vinyl, solely for the USA, details of which will be posted later. Tales Of H.P. Lovecraft album now available in the US from Mondo. We will be playing the LUNAR festival this June playing Tales Of H.P. Lovecraft album in it’s entirety. Tales of H.P. Lovecraft will be on general release on Friday 22nd January available in store and online. 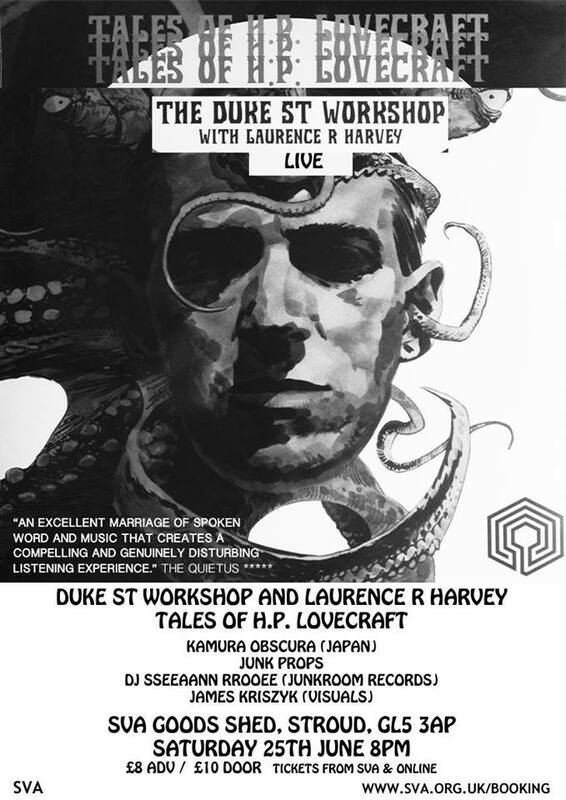 Saturday 16th January we will be selling a limited number of copies of Tales Of H.P. Lovecraft, a week before release, as well as copies of previous releases Cabin 28 and Hospital 7″.